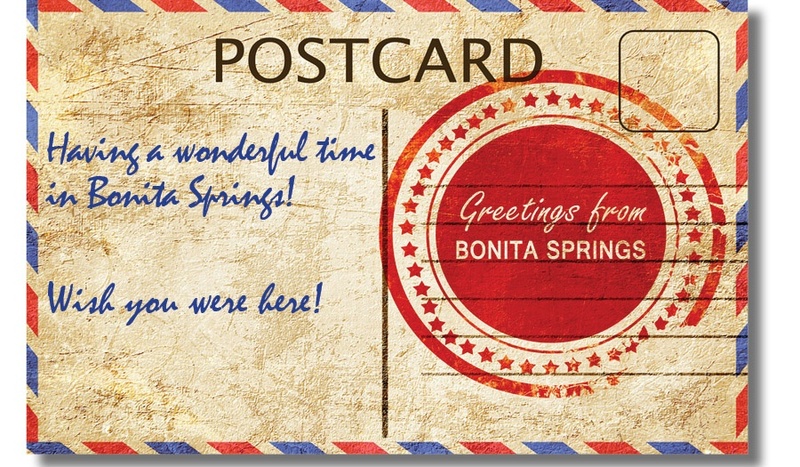 The history of Bonita Springs goes back much farther than many people realize. Some archaeological findings point to the area having hosted inhabitants as many as 8,000 years ago. And the man-made mounds scattered around the area have been in existence for at least 4,000 years. The Native American (Calusa) population that lived in the area at the time that Ponce de Leon “discovered” the region (in his ill-fated search for the Fountain of Youth) have long since disappeared. Homesteaders found their way into the area and by 1901 the first Post Office opened it’s doors—followed some nine years later by the opening of the Eagle Hotel that accommodated people drawn to the area of it’s great hunting and fishing. As the area began to be developed, the developers felt that “Survey” lacked caché, so the town became Bonita (Spanish for “beautiful”) Springs and enticed visitors with it’s great climate and roadside attractions—including the Everglades Reptile Gardens, which opened in 1936. For many years the town remained a small, quiet place—until the population of Florida began booming and people were looking for places to build. Today, the city encompasses an area of about 41 square miles (almost 14 percent of which is water!) and hosts a population of about 44,000. But it’s not only the size and population that has changed. The town is considerably more upscale than the days when it was named after surveyors who passed through. The restaurant scene here has plenty to offer. Whether you want chain restaurants or small chef-owned eateries such as Wyld’s Café or A Table Apart —you’ll find it here. If you’re looking for casual waterfront restaurants that capture the older waterfront character of the region, check out Coconut Jack’s or Doc’s Beach House . Bonita Springs also offer visitors and residents shopping opportunities that those surveyors could never have imagined. Wander through the Flamingo Island Flea Market or scope out the deals at Miromar Outlets. Or shop your heart out at Promenade at Bonita Bay along Highway 41. Still, people are still attracted to the surrounding natural beauty and to the abundance of wildlife in the area. The Everglades Wonder Gardens (which opened in 1936 as a wildlife exhibition and a refuge for injured animals) features a large collection of Florida wildlife that includes exotic birds, panthers, alligators, flamingos and bears. There are numerous parks and beaches in the area (you’ll find 10 beach accesses with public parking). Barefoot Beach Preserve Park is a particular treasure. This 342-acre natural land park is one of the last undeveloped barrier islands on Florida's southwest coast and boasts a fantastic beach. In fact, Forbes Magazine ranked the park’s beach the sixth best beach in the entire United States! If you want to check out the area’s wildlife you can visit the nearby of Corkscrew Swamp Sanctuary, which features a significant Bald Cypress reserve. Or head north to Lover's Key State Park, a 1,600-acre park comprised of four barrier islands that features nature trails, a canoe launch, kayak and canoe rentals, and miles of pristine beaches. Residents (and visitors) can also enjoy the arts in Bonita Springs. The Center for the Arts of Bonita Springs hosts local, regional and national traveling art exhibitions. There is also a year long Performance Series featuring jazz, classical and rock music, dance and theater. You can enjoy classes in all the arts disciplines at one of the organization’s two campuses. The 4-acre Center for Performing Arts is home to two auditoriums, theater, film center, music rooms and studios for study of performing arts. The well-respected Bonita Springs National Art Festivals are held in January, February and March in downtown Historic Bonita Springs. Great weather, plenty of beautiful beaches, and lots of things to do both indoors and outdoors: There are plenty of reasons Bonita Springs is a great place to live. Having a home you love to be in makes it even better. And the good news is that if you live in Bonita Springs, remodeling your home could be easier than you think! Click here to read more about how you can turn your Bonita Springs home into the dream home you’ve always wanted.